I read a lot of books. I love the magic of books. I love playfully illustrated books and ones with beautiful prose. I love creative books and design books that delight my senses. I love adding colour and dimension to my life. Honestly, I love all kinds of books. I love the paper, I love analyzing the design of the book cover, I marvel over ones that have creative titles, and even snub my nose at those that haven’t made an effort. 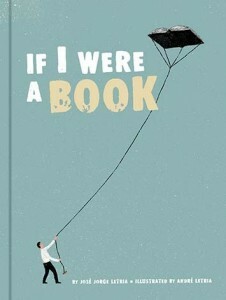 If I were a book, which book would I be? Recently I came across a book that made me think about this question. 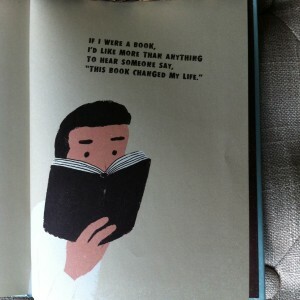 Ironically this book was also called If I were a Book by José Jorge Letria (Illustrated by André Letria). I’D LIKE TO BE PICKED UP AGAIN, AND AGAIN. What book would you be if you were a book? If I Were A Book by Jorge Letria (Illustrated by André Letria), is published by Chronicle Books and distributed in Canada by Raincoast Books.